Sun’s coming, Mavens. Even here in rainy Seattle we’re already in serious sunshine mode. We’ve sprung forward our mani-pedi palette in a major way and we’re really, really (really!) excited for you to see our newest BRIGHTS. Plus, we’ve got some fresh new ways for you to get the perfect glowing complexion that’s so on point right now. New Vivid Sheers. Can’t. Stop. PLAYING. One coat, and you get a juicy wash of color. One coat layered over white, amps the look totally. Multi-color crisscross, negative space, peekaboo white—we’ve loved every look so far. That’s why we’re throwing in a FREE Brigitte (Classic with a Twist) bright white crème so you can try out different designs too! Get it with any Vivid Sheer; limit one per box. <——— How cool is this! Julep is going to give you a free polish so that you can carry out the trend of vivid brights over white! Julep gets my jam, they know what its like to live and work in a dreary springtime land. Minnesota and Seattle are very much a like and oh so very different. Julep had me at “Brights + White.” This months colors and products did not disappoint. I had a very hard time choosing and added three additional products to my April Maven Box. By adding 3 additional products I earned a free surprise gift. “Lady! What did you get in your Brights + Whites Box!? Kaolin Clay Konjac Sponge: A gentle exfoliator made from the fibrous root of the Konjac plant and enriched with detoxifying kaolin clay that draws impurities from deep within skin. Green Tea Konjac Sponge: A gentle exfoliator made from the fibrous root of the Konjac plant and infused with green tea powder to balance the skin. Charcoal Konjac Sponge: This super gentle all-natural exfoliator is enriched with skin-clarifying charcoal to cleanse, exfoliate and detoxify your skin. What Your Skin Needs Restorative Facial Milk: a lightweight treatment milk infused with five potent oils to hydrate and replenish skin. Just in time for winter’s harsh bluster on our sweet faces, this restorative facial milk is a seasonally on-point addition to the daily routine—under moisturizer, before makeup. ——————————> This is a repeat product for me, don’t worry it wasn’t done on purpose. 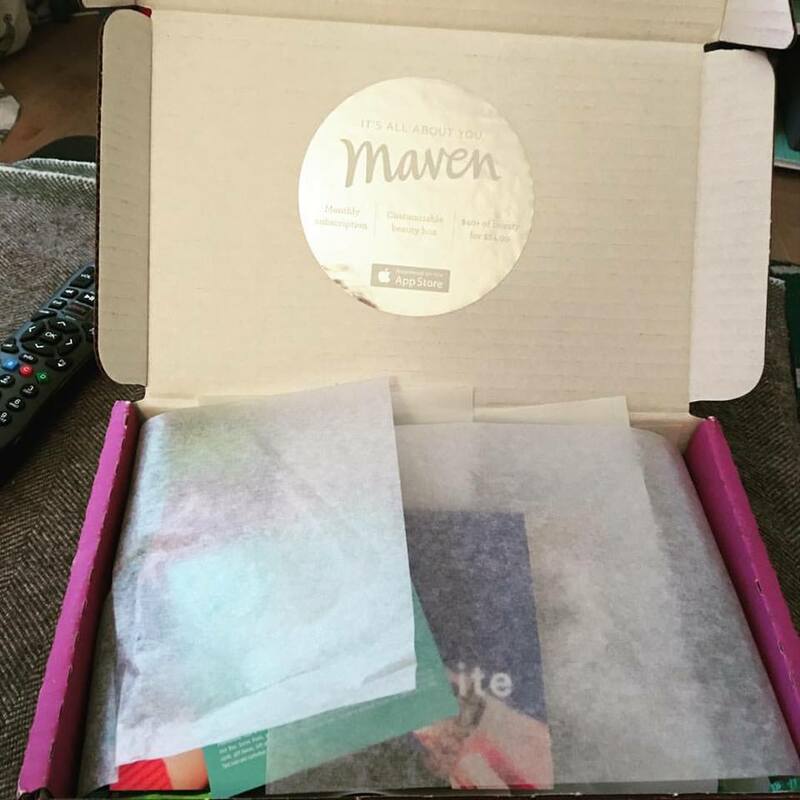 With My Maven you can customize the products you receive in your monthly box. I happen to hands down love this moisturizer and needed another bottle, so I switched out a product and put this one in. Just a note, be careful not to drop the bottle or dropper both are made of glass. I did this for you and ended up stepping on said broken glass at 3AM ( I thought I got it all) and cut the bottom of my foot. Julep Lip Gloss in Charming: A gorgeous lip gloss that offers subtle color, unstoppable shine, and luscious hydration. ——————————-> Yup you guessed it, this is another repeat for me. I am addicted to Julep’s lip gloss, it is so light weight and does not ware off easily. Note the bottle is glass and if dropped it will break, so be careful when using it. ——–> free with Jules! I love getting free polish. ——–> this was my surprise gift for selecting 3 add on products. I am in love with the My Maven customization feature and that you can switch up one or all of the featured products in your box. Julep is $24.99 a month, which is a great value because you can design a box that is totally for you. To get a box of your very own visit wwww.julep.com for more information. 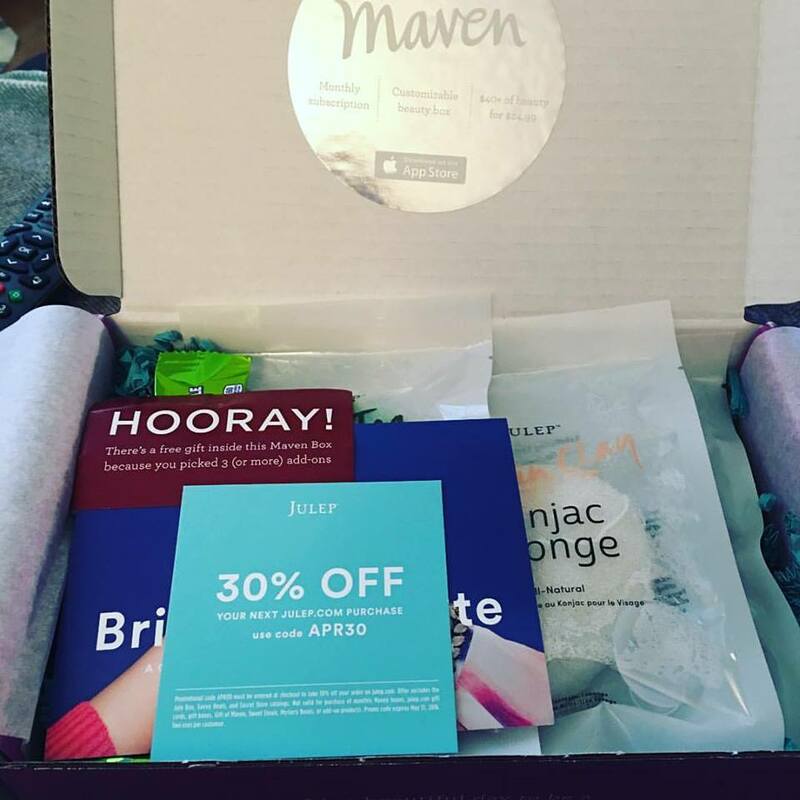 After your Welcome Box, the contents of your monthly Maven Box depend on the program you signed up for. 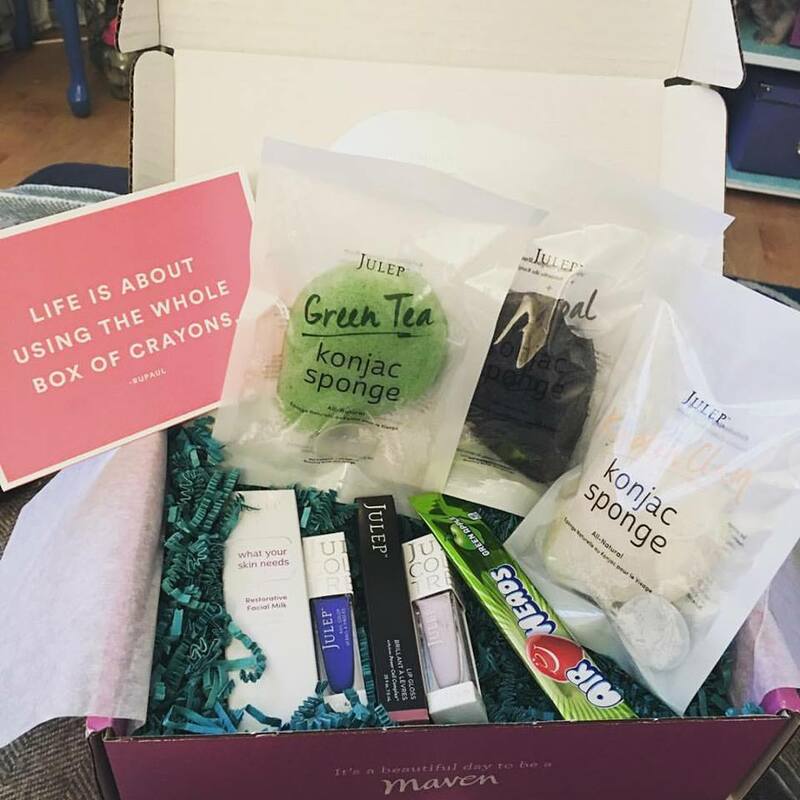 Each My Maven Box includes over $40 worth of new beauty innovations and/or limited-run nail colors. We create at least five new boxes every month—one for each Style Profile, plus monthly exclusives. If you have a fully customizable subscription, you can personalize your box by picking exactly what you want.